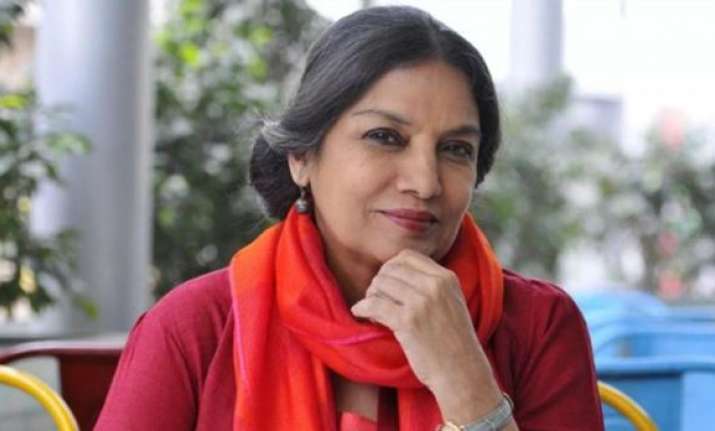 Veteran actress Shabana Azmi, who is also an avid social worker has been nominated as the Global Leadership Ambassador for Women in Public Service Project (WPSP), a Hillary Clinton-founded programme aimed at empowering the next generation of women around the globe. “I am honoured to be nominated as Global Leadership Ambassador for Women in Public Service Project at Wilson Centre, USA,” Shabana took to Twitter to announce. According to the official WPSP website, it is an innovative initiative to advance women to positions of influence in governments and civic organisations worldwide, and was founded by Clinton in partnership with the US Department of State and the Seven Sister Colleges of Barnard College, Bryn Mawr College, Mount Holyoke College, Smith College and Wellesley College. WPSP is a programme of the Global Women’s Leadership Initiative. It also mobilises women on issues of critical importance in public service. Shabana, who has been speaking up for women’s rights and has been working towards uplifting women’s status in the society through her Mijwan Welfare Society, was congratulated by actors like Tisca Chopra and Divya Dutta. The veteran actress emphasised that WPSP’s goal of 50×50 is an important mission that needs people to step up and enable and empower more women to lead.